Billy Beane has a wonderful story. At 18 he was a strapping young baseball prospect, raised in San Diego by a Naval-officer dad and drafted fresh out of high school in the first round by the New York Mets. He was a sure star — until he suddenly wasn’t, his playing career faltering for reasons few could understand, least of all him. Then, at 27, a journeyman outfielder with a lifetime average of .219 who’d bounced from the Mets to the Twins to the Tigers to the A’s, he walked out of the dugout and into the team’s front office, looking for a job. He became a scout, and eight years later, he was promoted to general manager of a losing team. Under his watch, the A’s, a small-market underdog with a minuscule payroll, made the playoffs five times in the next eight seasons. Let’s call that Chapter 1. Then in 2003, “Moneyball: The Art of Winning an Unfair Game” was published. The book, by Michael Lewis, dissected Beane’s success and lionized him as an innovative visionary in a field clogged with myopic traditionalists. It explained how he boldly discarded conventional wisdom and embraced the advanced statistical analysis preached by a small band of radical baseball outsiders, inspired by the self-educated statistician Bill James. The book was a monumental best seller. And now, in what seems like the crowning chapter to this saga, “Moneyball” has just been released as a movie. The starring role of Billy Beane is played by Brad Pitt. Let’s call that Chapter 2. If you were going to pitch this story as a movie, you would pitch it as David and Goliath meets “The Bad News Bears” meets “The Tipping Point” — a perfect confluence of sports-underdog drama and the allure of contrarian thinking. In fact, the only thing lacking in this Hollywood tale is a classic Hollywood ending. Because, as it turned out, those miraculous A’s never did manage to topple the bloated Goliaths of the league — their sling always came up one stone short. And when, after the 2002 season, Beane was courted to take over the storied Boston Red Sox (if you can’t beat ’em, etc. ), he accepted — then abruptly declined. The jilted Sox instead promoted Theo Epstein, a 28-year-old wunderkind in the Beane mold. The Sox have since won the World Series twice. The A’s, meanwhile, have tumbled back to mediocrity: the team is on its way to a losing season this year, after compiling a record of 231 wins and 254 losses over the previous three seasons. Most of the innovations introduced or popularized by Beane have been freely adopted by other organizations, thus eliminating whatever stealth advantages he once enjoyed. 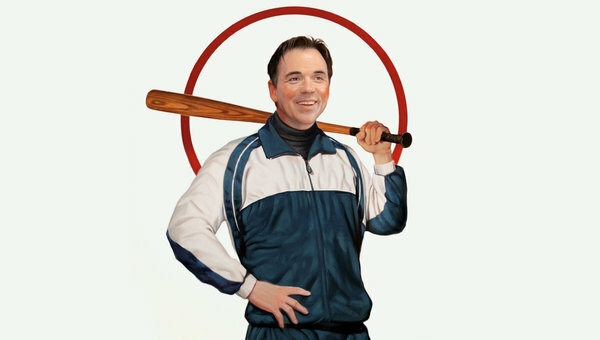 The Moneyball philosophy ultimately triumphed, but Billy Beane never quite did. “Moneyball,” the movie, struggles with this inconvenient reality; certainly it’s odd to watch a sports movie that doesn’t — that can’t — end with that rousing ninth-inning game-winner, with Roy Hobbs launching his pennant-winning shot into the lights. (Of course, in the Bernard Malamud novel that “The Natural” was based on — spoiler alert — the aged Roy Hobbs strikes out.) As Pitt-as-Beane says in “Moneyball,” it ultimately doesn’t matter how many games you win if you lose the last game of the season. The film ends with a black title card, announcing elegiacally and somewhat euphemistically that Beane is still waiting to win that last game.